A pair of Ohio lawmakers have launched a taskforce to investigate the Pension Benefit Guaranty Corporation’s (PBGC) decision to slash a non-union pension fund as part of the auto bailout. 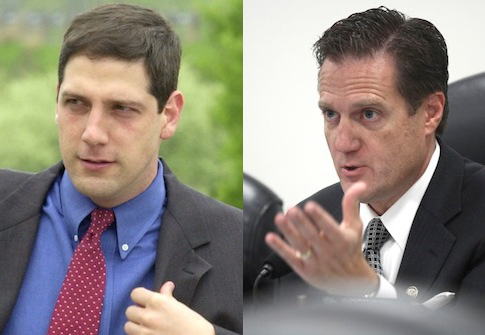 Reps. Tim Ryan (D.) and Michael Turner (R.) hope to use the Auto Industry Pension Task Force to investigate whether officials from the White House or Treasury Department interfered in the PBGC’s handling of bankrupt auto parts manufacturer Delphi’s pension system. The PBGC is an independent backstop for retirement funds. It cut pensions for more than 20,000 non-union employees in 2009 to pull Delphi out of bankruptcy, while preserving union retirement plans with a $1 billion top-off from bailed-out General Motors. Several congressional investigations have revealed emails between officials at the PBGC and the Treasury Department, which oversaw the auto bailout. "We’re assembling members of Congress who understand this complete injustice … to make certain that we bring to light the information that went into this decision," Turner said. "We didn’t want to see this issue wane; this is the best way to continue our momentum and continue the investigation." Turner and Ryan represent districts in southwest and northeast Ohio that were home to major Delphi operations. The pair had considered the taskforce approach for some time before creating the bipartisan panel last week. Four committees—Oversight, Education and Workforce, Financial Services, and Ways and Means—have launched investigations into the handling of the Delphi pensions. Turner said the taskforce will serve as a "clearinghouse" to keep each committee up-to-date on the case’s development. "We are singly organized around one purpose whereas a committee has many different focuses," Turner said. "The taskforce enhances all of the [committee’s] efforts; we’re going to be coordinated and have consistency of focus that will right this obvious wrong." Rep. Brian Higgins (D., N.Y.) was the first member to join the task force since House leadership approved it last week. Higgins did not return a request for comment by press time. Other lawmakers familiar with the Delphi scandal have high hopes for the task force. "Congress has a responsibility to help these workers get the answers they deserve," said Rep. Phil Roe (R., Tenn.), who has investigated the issue with the Education and Workforce Committee. "We're dealing with an administration that has no problem trying to bypass the authority of Congress, and I am pleased to see other members working to help resolve this issue." Roe has yet to join the taskforce but is considering his options. Former Delphi employees welcomed the formation of the taskforce as a step in the right direction. Den Black, who spent more than 30 years working at GM and Delphi and saw his pension slashed by the PBGC, said he hopes the taskforce can cut through the red tape that has stymied the committee investigations. "It’s like pushing a 1,000-ton granite rock with this administration," Black said. "In our four-year ordeal, this is the first time that we’ve had people from both sides of the aisle team up like this. … I hope they can pull [administration officials] back under oath so we can get this fixed." This entry was posted in Politics and tagged Congress, Delphi, General Motors, Ohio. Bookmark the permalink.